Blueprint Gaming are donning their horned helmets and preparing for mayhem as they launch their first Megaways slot of 2019 –Lightning Strike. 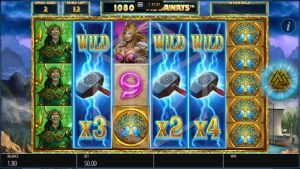 Megaways fans was able to get stuck into this epic Norse warrior themed slot already from Thursday 14 th February at participating casinos (both Casumo and LeoVegas has them) . 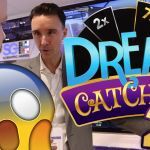 Blueprint have once again brought something new to the Megaways table by dispensing with the traditional “3 or more scatters” method of triggering the bonus spins. 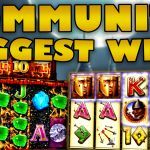 Instead, players get the opportunity to gamble every win of 5x the stake or more for either bigger cash wins or for more and more Mega Spins. Mega Spins come with an increased likelihood of landing those multiplier wilds and mystery symbols to produce some epic wins. So why not enter the fray,roar like a Viking, and prepare for carnage with Blueprint Gaming’s lightning Strike?